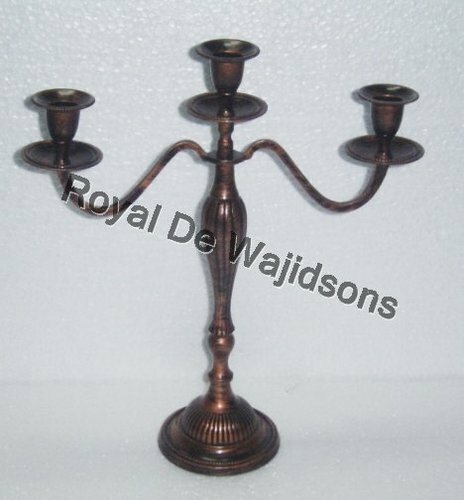 Candelabra is a beautiful 5 Arm Candle Holder which holds candles and enhances the beauty of the location. 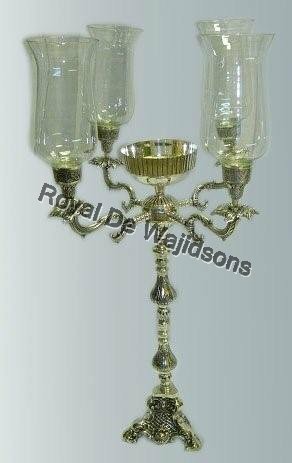 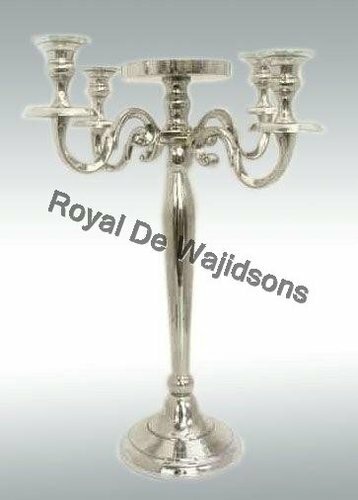 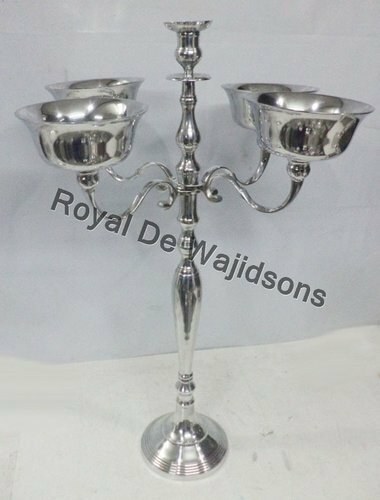 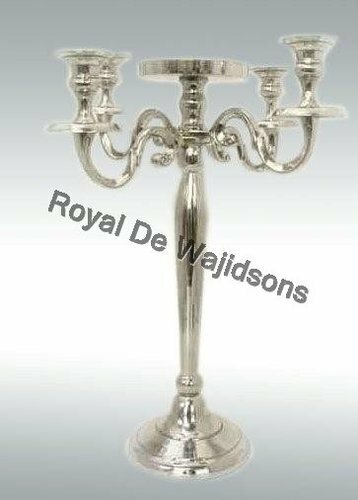 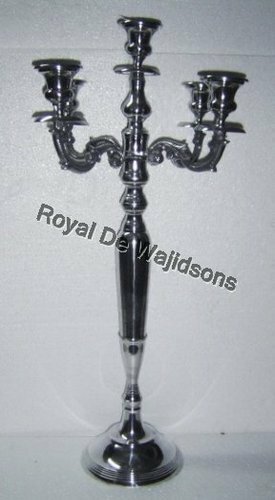 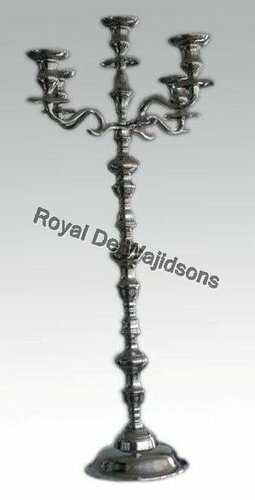 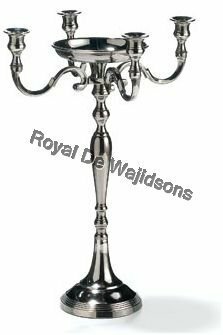 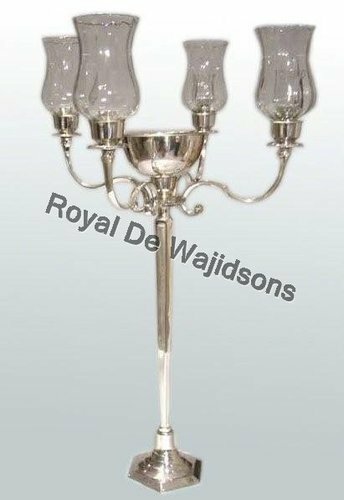 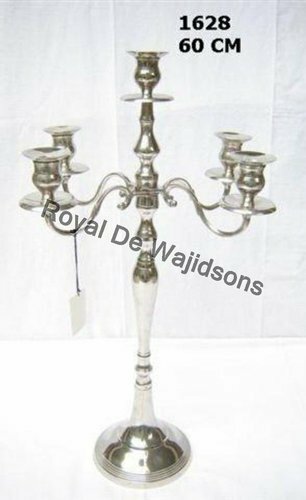 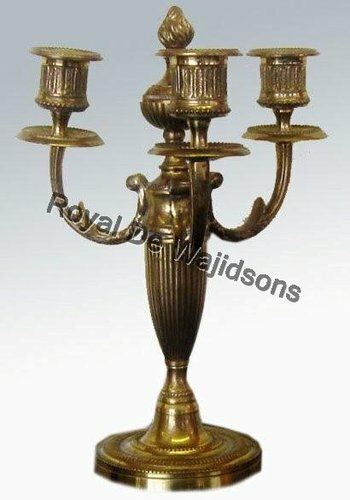 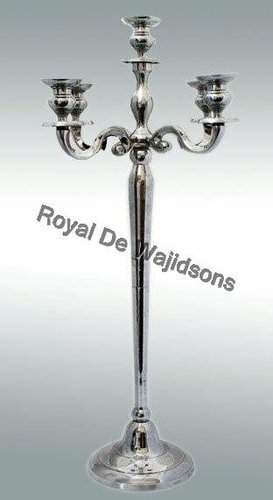 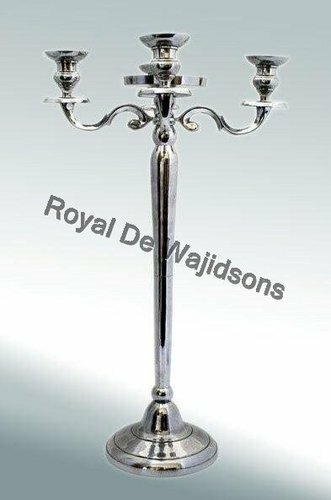 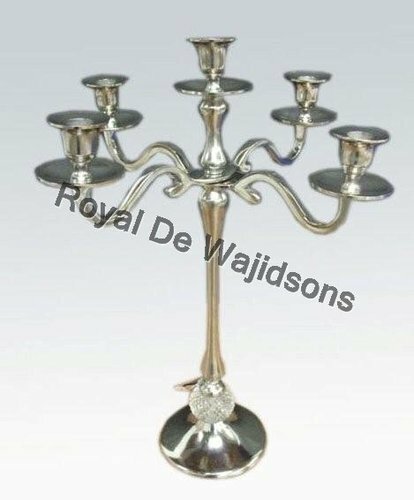 Royal de Wajidsons is a leading manufacturer and exporter of Wedding Centerpiece Candelabra in various metals like Brass 5 Arm Candelabra, Aluminium Wedding Centerpiece Candelabra and Nickel Candelabra for weddings and party. 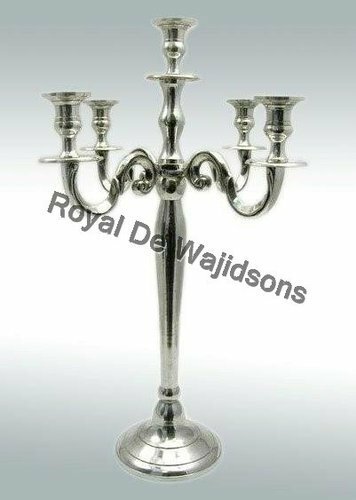 Our Candelabra are beautiful Candelabra centerpieces that can be set as a table centerpiece or placed on the floor as Floor Candelabra. 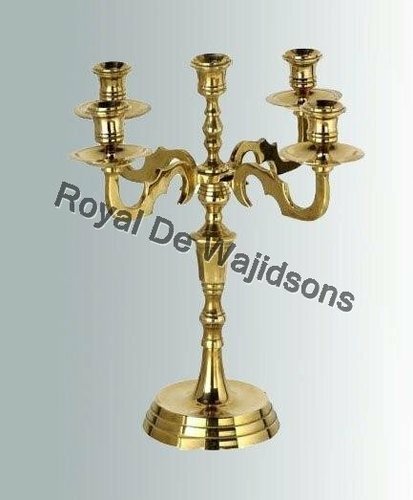 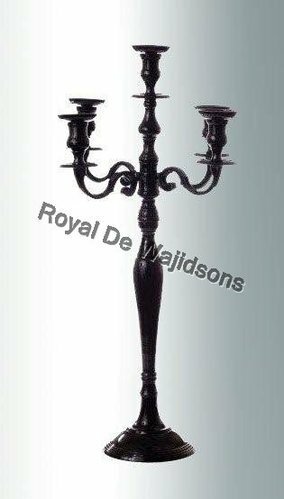 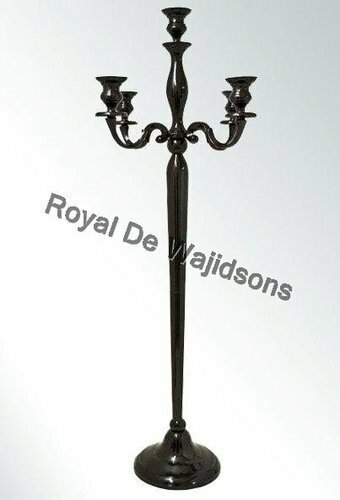 Our candelabras are available from sizes 30 cm to 200cm and are priced just right to attract our clients with excellent quality and timely shipments. 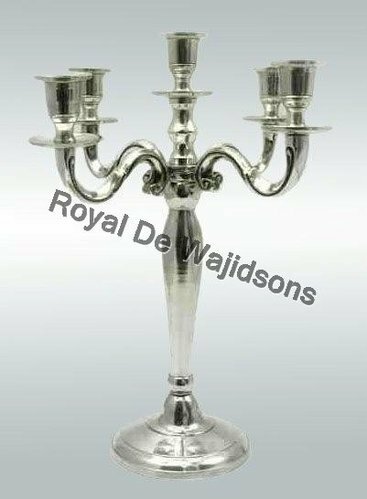 We are intersted in queries mainly from Brazil, Tunisia, France, UK,USA and Canada. 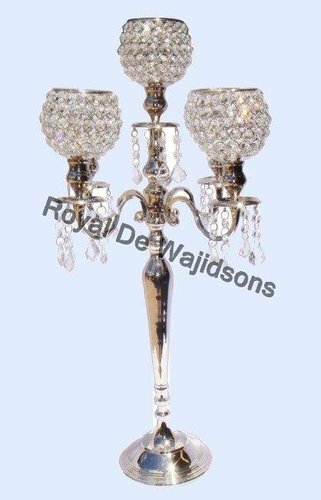 Our Crystal decorative Candelabra our one of the most selling designs in the entire world. 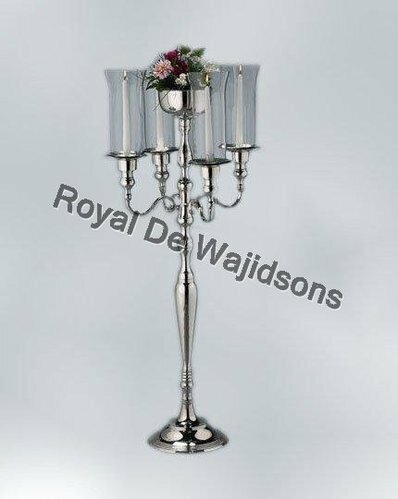 Our customers sell them to event planners and decorators around the world. 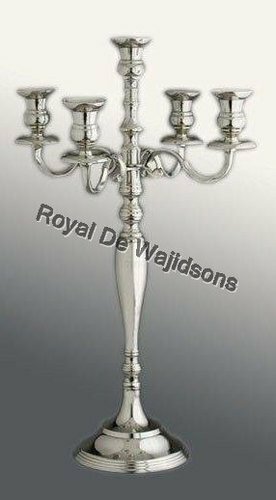 This beautiful design in 5 arms candelabra is a classical fro us. 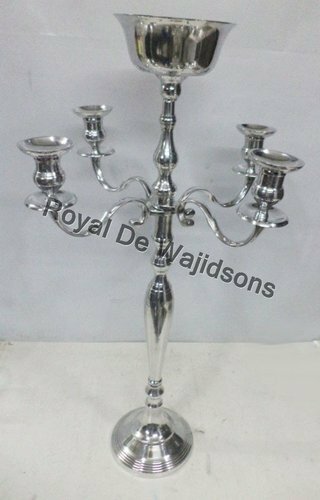 With high quality shiny glittering glass crystal the table where these candelabra are placed make the whole venue glitter. 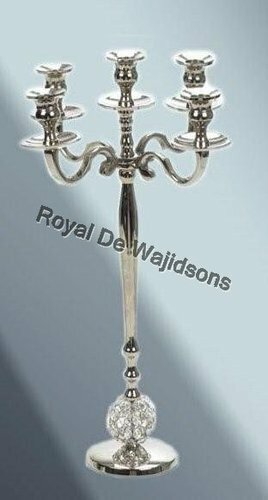 The dangles hanging from these candelabra add to the beauty of our crytal candelabra. 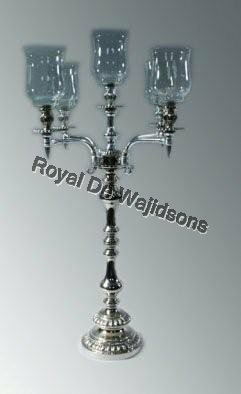 These candelabra have 5 bowls wherein the 5 candle lite are placed and the environment they create with the candle lite sprinkling through the crystal leave the visitors in awe. 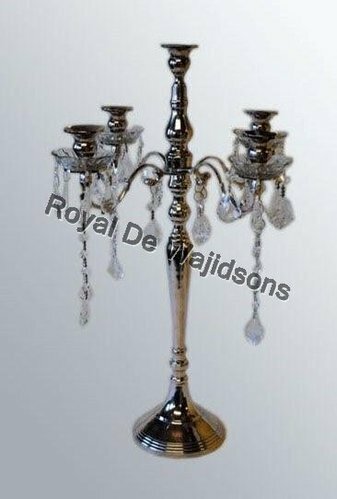 We have these crystal candelabra in many sizes starting from 30cm to 200cm with 80cm+ crystal candelabra being the leading size for us because this size is ideal as table centerpiece and also can be used as floor candelabra. 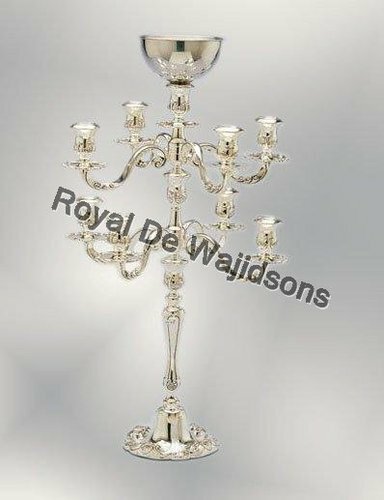 We welcome our customers to contact us for a whole range of crystal decorative items that go with the range of this 5 arm crystal decorative candelabra. 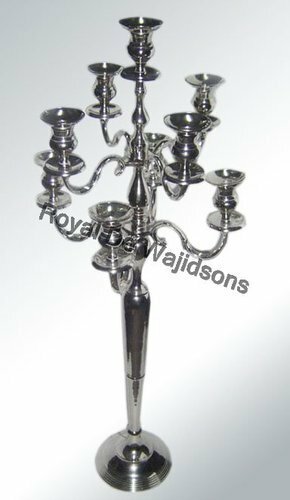 Our company caters to a wide market for an unparalleled and extensive range of Wedding Candelabra. 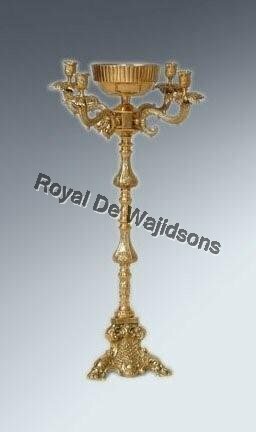 Ideal for being used as an artifact, the candelabra we offer is also preferred to be used in the wedding processions. 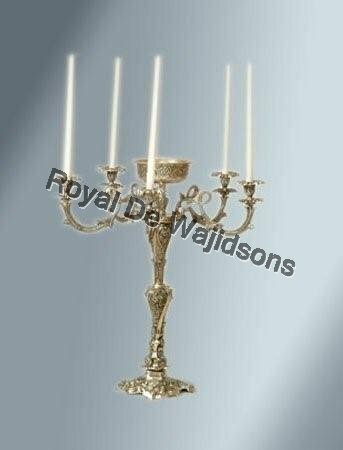 Quality metal used in the process coupled with unique designs of these candelabras make it a visual pleasure in the processions. 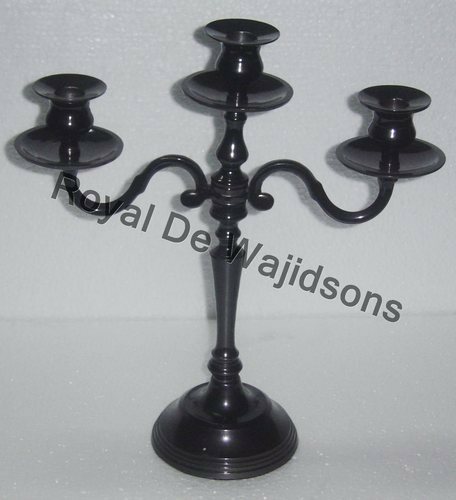 These are further available in different number of candle holding capabilities. 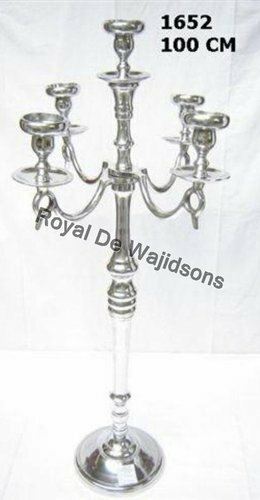 Our professionals with their knack to infuse modernity and traditional work help in bring forth a classic piece of Wedding Candelabra. 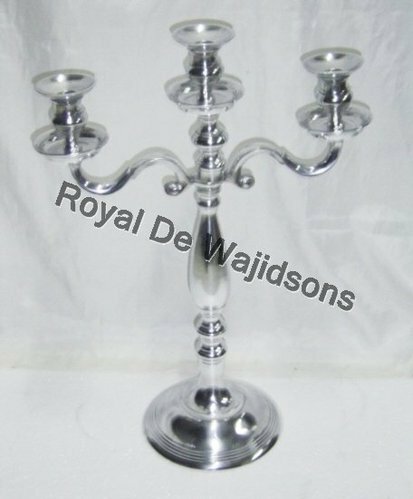 Our Wedding Candelabra Centerpieces that are also available with bowls in the center are ideal to have flowers on the bowls and candles on the sides to accent the venue with its beautiful decor. 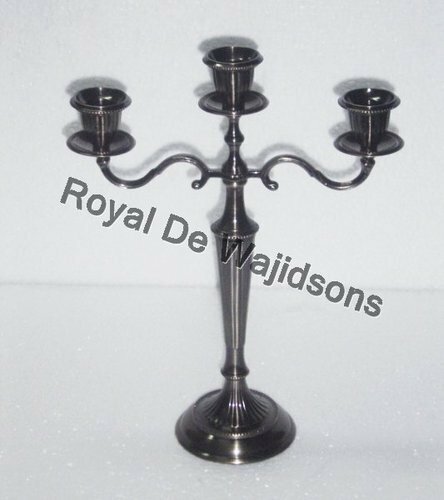 Our 3 Arm Candle Stand Candelabra designed for table decor to make that romantic candle lite dinner the most remembered experience. 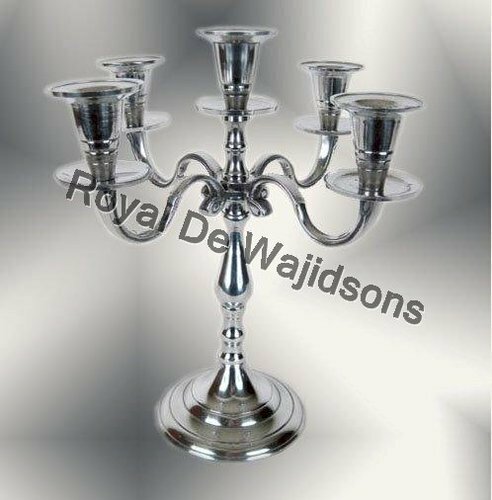 These candelabra are also elegant and finely finished to give that quality feel to mesmerize the surroundings. 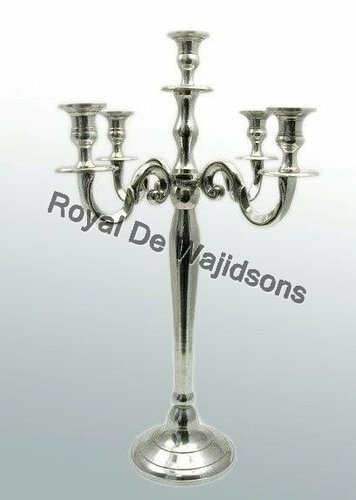 The candelabra design and very simple and clean to attract European as well as customers from other countries that need their tables to be decorated with our exquisite 3 Arm Candle Stand Candelabra. 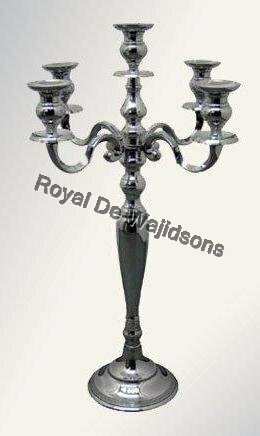 This design can also be customized into a 5 arm candelabra or a 7 Arm Candelabra or even a 9 arm candelabra. 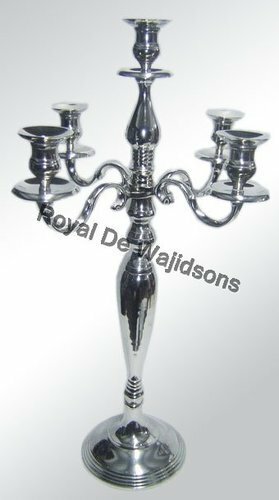 We have gained expertise in delivering a quality range of Aluminum Candelabra. 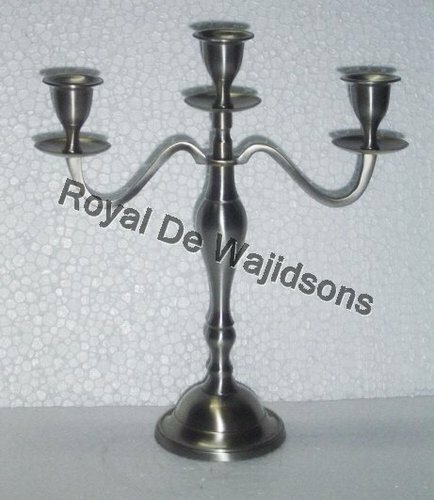 The offered range of aluminum candelabra is manufactured using premium grade raw material, which is sourced from reliable vendors. 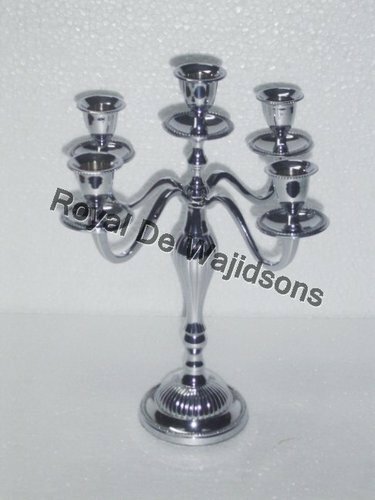 Also, the offered aluminum candelabra is designed in compliance with the set industry norms and standards. 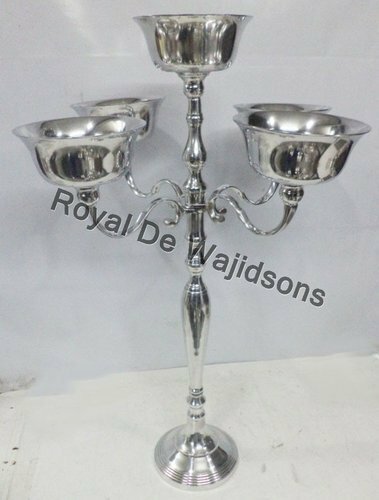 These products are applicable in different fronts like wedding, parts, home decoration, garden decoration and for other events decorations. 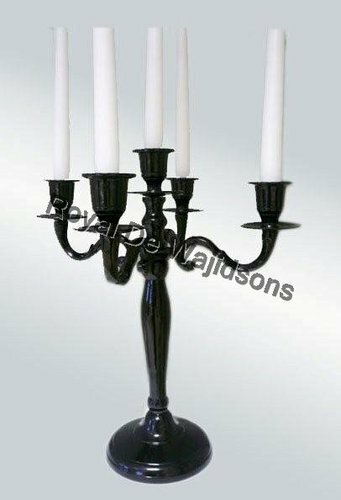 We have emerged as a leading manufacturer and supplier engaged in offering our valuable customers a wide array of Floor Candelabra. 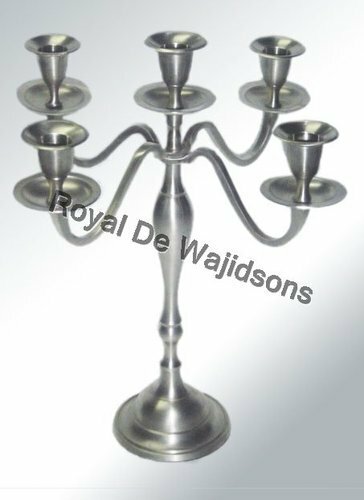 This array of floor candelabra is developed by our adept craftsmen, who ensure to adhere it with the international quality standards. 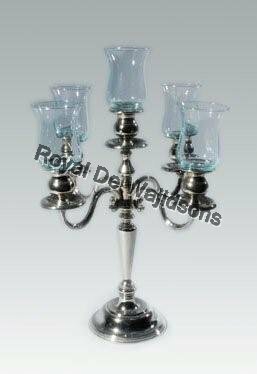 Along with this, these products are checked on different parameters in order to offer defect free range to customers. 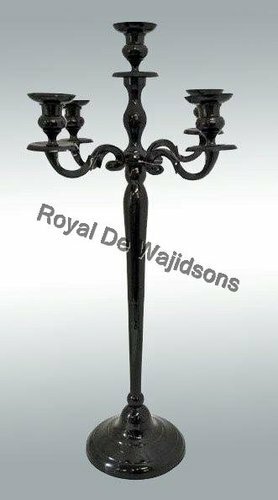 The offered range is ideal for decorative purposes across homes, hotels and other places. 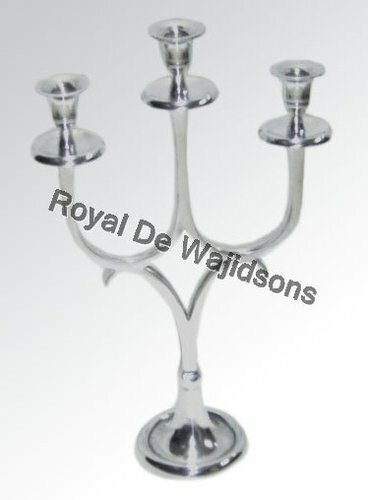 The stunning 3 candle candelabra looks fantastic when lite with candles. 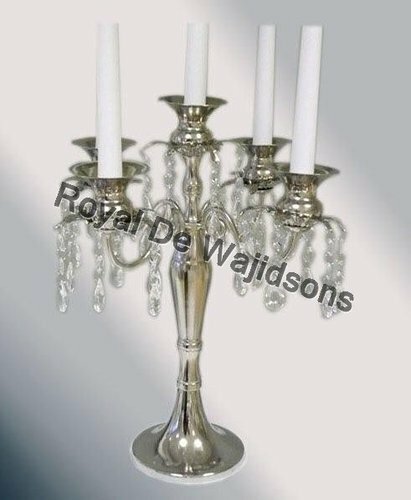 This decorative candelabra can place crystal votives around the candle holders or falling lengths of crystal make them look even more beautiful. 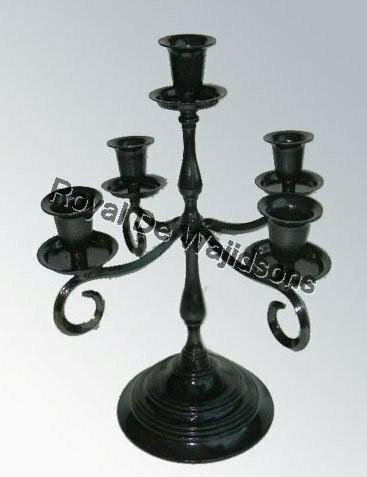 Candelabras With Bowls For Flowers. 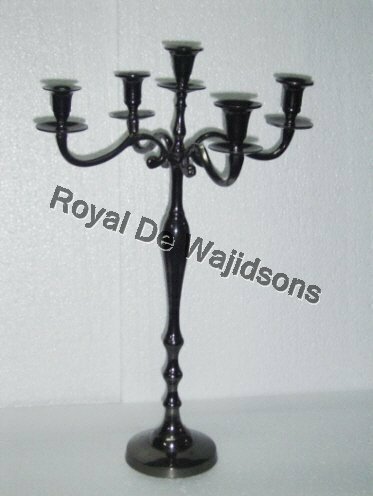 Our Black Wedding Candelabra with the size specifications of L:23.00 W:23.00 H:27.00 cm is a beautiful masterpiece to decorate the table at a wedding. 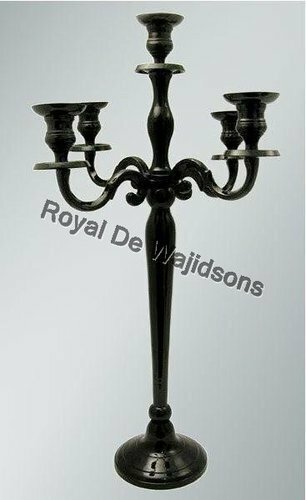 The black color is so neutral that it goes with any surrounding. 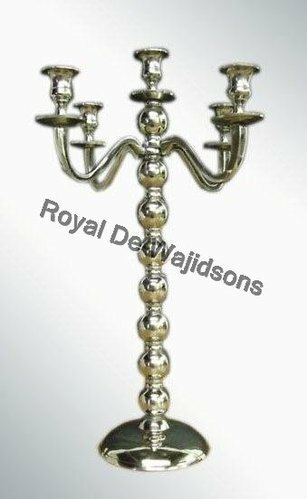 These candelabra may be decorated with any other accessories because the arms are twisted in such a way that these candelabra can hold pearls decor and also dangles which may also be provided by us on request. 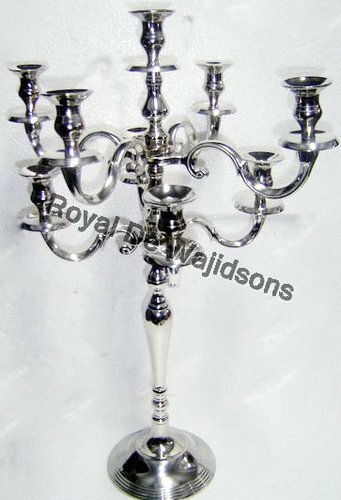 These are the candelabra that are in addition to our wedding centerpiece candelabra in iron metal candelabra and aluminium candelabra. 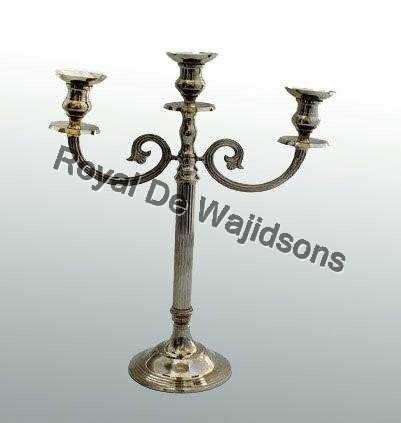 Our unique designs of candelabra may be customized for sizes and finishes and even designs. 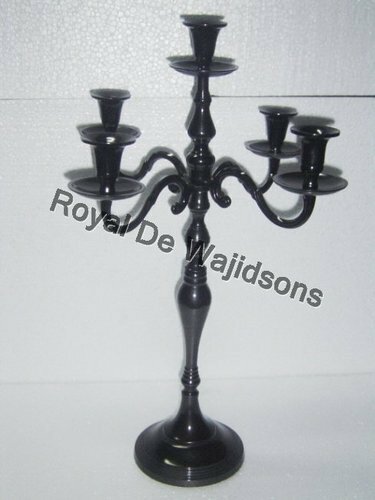 Black Candelabra For Wedding Centerpiece. 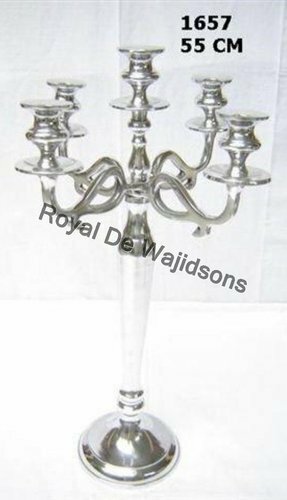 Looking for “Wedding Centerpiece Candelabra”?